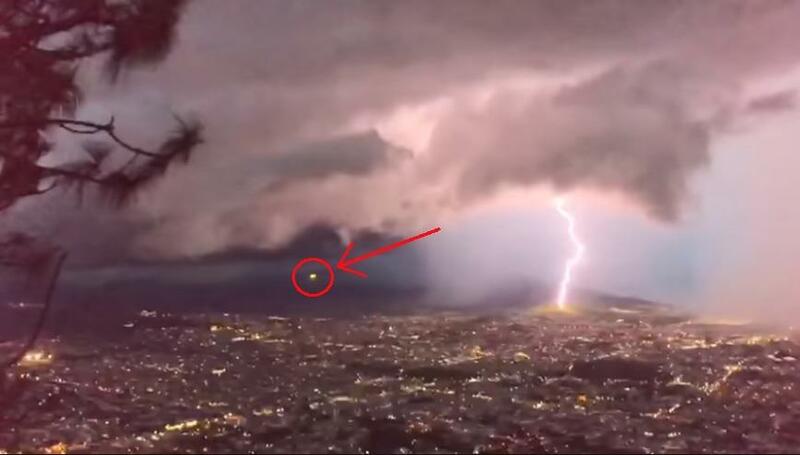 A bizarre sighting during a lightning storm in Mexico may have resulted in the capture of a UFO on video. The storm was taking place over San Juan Tepic Nayarit, Mexico on August 22, 2018, when a spherical object blasts out of the storm at high speed. The speed and trajectory of the object make it highly unlikely that it was an aircraft but the object does not appear to be a meteor either. Could this actually be an alien ship or is there a more Earthly explanation such as ball lighting? Ball lighting is acknowledged to be a legitimate phenomenon by the scientific community but it is very elusive and difficult to capture on video. This photograph allegedly depicts ball lighting which can range from pea-sized to several meters in diameter. One of the defining features of ball lightning is the duration since it lasts much longer than the split-second flash of lighting. Here is another example of alleged ball lightning captured on video. Both the picture above and the video below seems to depict a very different shape and movement than that of the UFO filmed over Mexico. I think any NEV ( Non Earth Vehicle) having traveled the great distances (Light Years) , and survived entering the Earth Atmosphere, could handle a lightening strike.